The African market has been incredibly rewarding to Nampak’s growth plans, Chief Executive Officer Andre Marinus de Ruyter told delegates at the IDC’s inaugural Industrial Development Conference. The African market has been incredibly rewarding to Nampak’s growth plans, says company CEO, Andre Marinus de Ruyter. 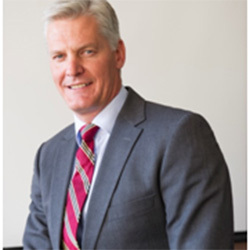 Speaking during a panel discussion at the IDC’s inaugural Industrial Development Conference in Johannesburg on Tuesday, 20 October, Ruyter dismissed the risk issues associated with doing business on the continent, saying most of these issues were based on perception rather than fact. Although he could not divulge figures, Ruyter said Nampak’s business on the rest of the continent was fast becoming a significant contributor to group revenue. “Sub-Saharan Africa has significant growth opportunities for investors taking a long-term view on growth. You are looking at a population of over 180-million relatively youthful people,” Ruyter said. He did, however, note that the absence of a sophisticated bureaucratic system to deal with foreign direct investment (FDI) – characteristic in many Sub-Saharan states – was one of the challenges of investing in the rest of Africa. Speaking during the same session, Joel Netshitenzhe, the former head of the Government Communication and Information System (GCIS), and now CEO of the Mapungubwe Institute for Strategic Reflection (MISTRA), castigated local companies for failing to take advantage of the continent’s infrastructure development projects. “It is estimated that Africa will spend about US$200-billion by 2020 on infrastructure related developments. This is an opportunity for regional integration – a development that should see local companies partnering companies to the north of our borders as they seek growth opportunities,” Netshitenzhe said, adding that this opportunity should not be left for non-African companies to exploit. 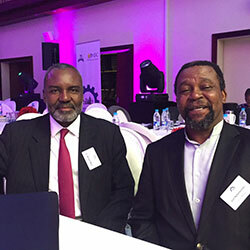 Dr Nkosana Moyo, who heads a non-governmental organisation called MINDS, called for closer collaboration between the government and the private sector in their bid to address unemployment on the continent. “We can’t leave it to governments across the continent to determine the policy framework on behalf of the private sector,” Moyo said. “There has to be a close collaboration between government and the private sector in order to create a stable and sustainable investment climate.